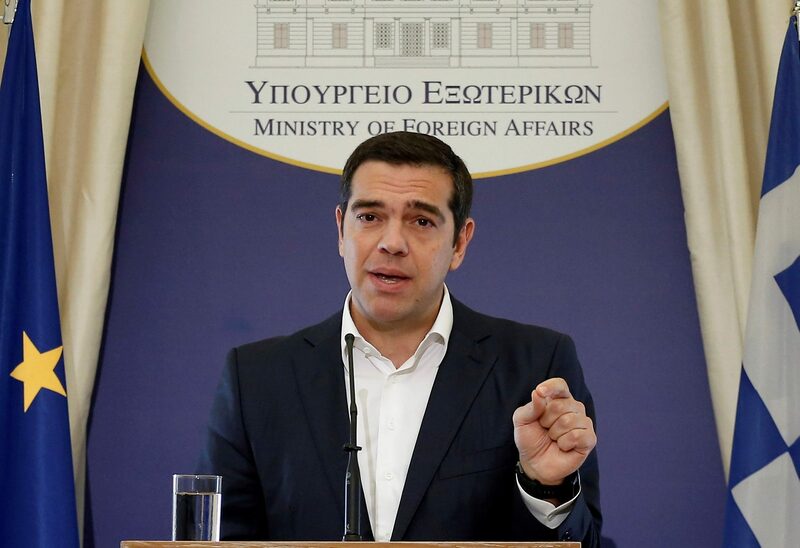 Newly appointed Greek Foreign Minister and Prime Minister Alexis Tsipras delivers a speech during a hand over ceremony at the Foreign Ministry, in Athens, Greece, October 20, 2018. The American-Hellenic Chamber of Commerce held a two-day conference in Athens on Dec. 3-4. Kyriakos Mitsotakis, the head of the opposition New Democracy party, addressed the conference on Dec. 3, while Prime Minister Alexis Tsipras delivered a speech on Dec. 4. Greece’s unemployment rate fell to 18.6 percent in September, the national statistics office ELSTAT said on Dec. 6. That was down from 18.9 percent in the previous month and a from record high of 27.8 percent in September 2013. Among younger people aged 15 to 24, the jobless rate fell to 36.6 percent from 40.5 percent in the same month in 2017. Greek GDP rose 1 percent in the third quarter compared with the previous three months and 2.2 percent from a year earlier, ELSTAT said on Dec. 4.